GERMAN CHANCELLOR ANGELA Merkel has said that the 3.6 million young unemployed people in Europe should be ready to move to get work. In an interview with the BBC she said that in her own constituency of East Germany, where there is a 30 per cent unemployment rate, ”many young people… only had jobs because they moved to the south”. She argued that there would have to be more “mobility”. However, Merkel did add that she did not think it was fair that young people have to foot the bill for something they did not create themselves. 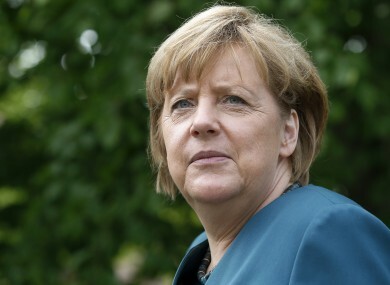 Merkel said that combating youth unemployment is an “enormous problem” and that she wanted to get to a period of growth. “I want these countries to be better-off soon,” she said. Youth unemployment levels in Europe is currently approaching 23 per cent and it is as high as 50 per cent in some member states. Email “Merkel tells young people with no jobs that they might have to move”. Feedback on “Merkel tells young people with no jobs that they might have to move”.